We provides LCD Screen repair service for the iPhone SE. 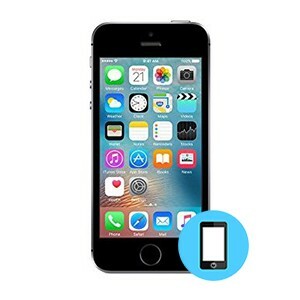 All details of this service is outlined in this page.If your iPhone SE has a damaged LCD screen (cracked or broken, non-responsive touch, image does not display correctly or any other problem with your phone screen), bring it in to one of our stores for replacement with a brand new original screen. Our service is fast, and quality is our guarantee. iPhone SE comes with a 4 inch Retina Display LCD that makes graphics come alive. But the small size of device makes it susceptible to falls and the screen can shatter in a matter of seconds. Fret not. iFix Mobile offers affordable iPhone SE LCD repairs in Toronto. For just $89, walk home with a brand new LCD screen in a few hours. We’re fast like that. And reliable too. Should you have any questions please call us.